From a Consultant's Notepad.......: From a Consultant's Notepad: e-MPowering India..
"Do we see an encouraging picture out here? Has there been a substantial increase in transaction level over the last 2-3 months? Any typical connectivity issues as of now? "- The SeMT (State e-Governance Mission Mode Team) head asked categorically. He seemed to be very concerned about the progress and prevalence of the recently rolled-out e-District services in Jalpaiguri and Bankura, West Bengal as a part of the pilot run. Before I proceed further, I do understand that most of you might wondering what “e-District” actually means, let me try and help you out. 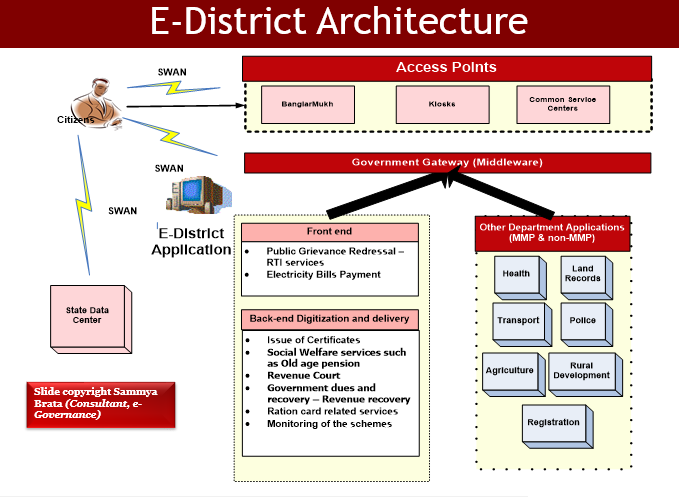 In short, e-District is one of the 27 MMPs (Mission Mode Projects) under the NeGP (National e-Governance Plan), with DeitY (Department of Electronics and Information Technology, Government of India) as the nodal department that aims at electronic delivery of identified high volume citizen centric services, at district and sub-district level that are not part of any other MMP. It proposes to adopt an integrated approach for delivery of citizen services by District Administration through automation of backend, workflow based on process redesign and data digitization across the participating departments. The very first step to e-MPowerment, I reckon. Duh, sounds like an unfathomable code-language isn’t it. Well relax, even I, for once would like to concur…this was exactly my reaction when I entered into the domain called “e-Governance” in one of the most reputed consulting firms of the country; as a fresh graduate from college I definitely had the replenishing thirst to “explore” new avenues but then the idea of an envisaged digital India was not even remotely close to my “dreams”. Drawing a perfect synergy with my initial thought-process, do try and imagine the ‘plight’ of the Government officials who are nearing their age of retirement or the citizens who are rather ‘accustomed’ to standing in a queue for hours and making multiple visits to the same department in order of avail the services…it is almost as imperative as the agony, the anguish associated with the idea of “change”; the superfluous ordeal that is. Oh hello! Do I send across the vibe of being rather a ‘tolerant prophet’? Wait for it, you haven’t even read the “abstract” yet; this is not a story though…it’s nothing but the hard-core reality of conceptualizing and implementing e-Governance in the field, the so-called “grass-root” level.. It’s a fascinating account. Sit back, relax and enjoy as I take you through the ‘e-enlightened journey’, ummm, let's explore then..!!! “What does e-Governance imply? Are we changing the way our Government operates? 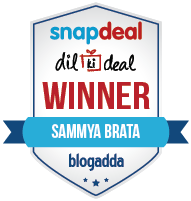 How successful would it be considering the deplorable state of computer literacy in the country and of course the State? What would be your role as a Consultant?” – Dad had bombarded me with all possible questions on the very first day of my job and naturally I didn’t have answers. But the questions kept on lingering in mind because as a Consultant, your role is to find solutions to an impending issue, not to bypass them. In my quest to find out those answers, I had to go back to the age old guidelines issued by the Central Government in line with implementing e-services from across the country and drawing salient points out of my sustained interaction with the designated personnel from the Department of Information Technology, Government of West Bengal, the various Government stakeholders in charge with the line departments, the software implementing agency as well as the citizens (the outcome of this project is essentially citizen-centric), I knew that something pretty interesting & “new flanged” was definitely on the cards. Talking of my first real on-field experience when it came to ‘familiarization with the essence of e-Governance’, well it’s nothing but an oracle, as they say. 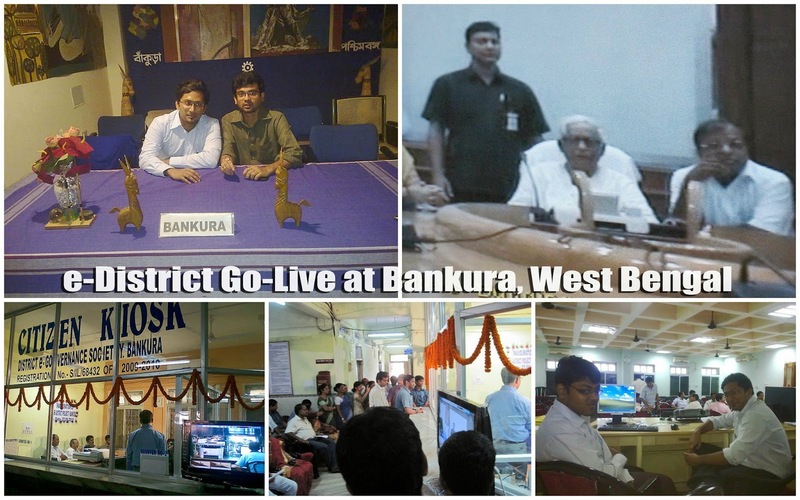 It’s astonishing when I say that my first assignment as a Consultant was to train the Government employees at Bankura, West Bengal with the newly launched e-District services…do note the term “train” because this task was assigned to me even before I had my formal induction into the scheme of things. It was a challenge...the challenge that broke my 'inertia of rest". But then, my boss’ imposing statement still lingers in my ears- “You have great potential in the capacity building sector. You don’t need formal training to get on with it…spend time with the people at the grass-root level, try and understand their pain points, make an attempt to think about possible mitigation plans and what you arrive at is e-Governance”. Boy! So many big words…capacity building, change management…and that followed by those majestic terminologies GIGO (GIGO means Garbage In, Garbage Out. In computer terminology it means if you feed in garbage value in your input, you will get garbage value as output. In principle, it means that you should have correct inputs and clean processes to get the desired output), BPR (BPR is major redesign of business processes to achieve improvements in various measures such as cost, performance, quality, service and speed), GPR (GPR is major redesign of government processes to achieve improvements in various measures such as cost, performance, quality, service and speed. 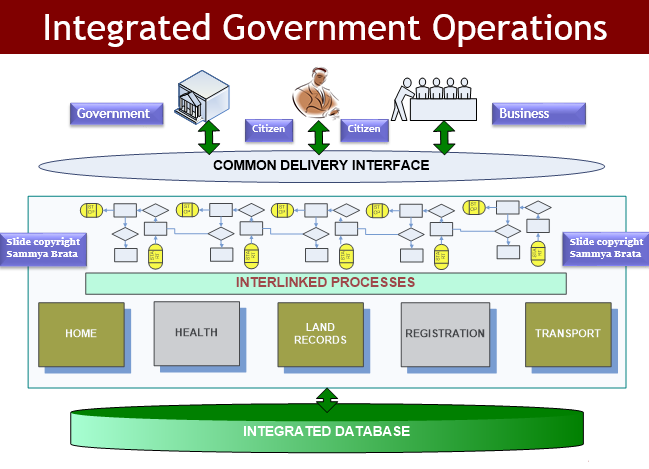 It has evolved from applying Business Process Re-engineering concept to Government services. 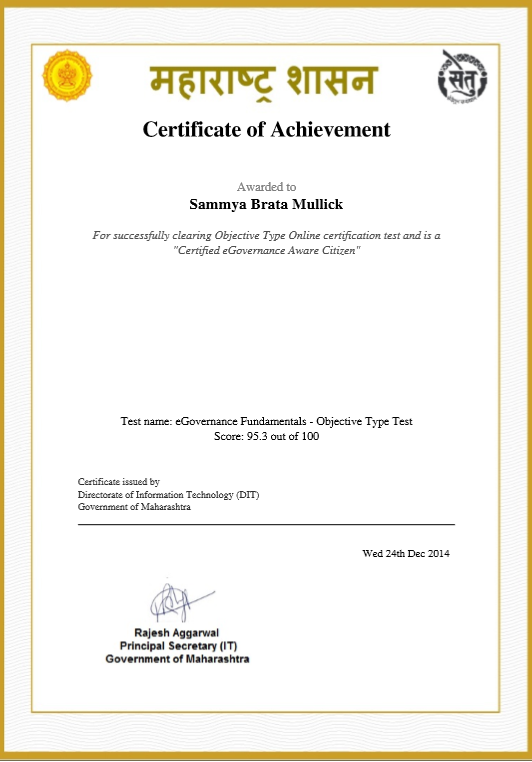 It enhances operational efficiency in administration and service delivery. The knowledge of GPR enables government personnel to improve government functioning.). In this context, let's look at the broad Mission (and vision) of e-District.! Phew! Seemed like an uphill task this…but then the objective was rather simple, to facilitate citizen-engagement or rather the beneficiaries by leveraging the bridge called “technology”. Boss was absolutely correct when he said that a direct interaction with the key beneficiaries would be the perfect foil of developing an e-Governance centric persona; we might talk about sophistication..but then our target audience comprises of people who have never had the privilege of ‘touching a computer’. Well, if we look back and focus on the prime goals of e-Governance, I must mention that to achieve the broader objectives, service levels and outcomes for each of the services selected under the purview of e-Governance will be clearly laid down by the concerned State, with a view to improve the efficiency and effectiveness of the service delivery. 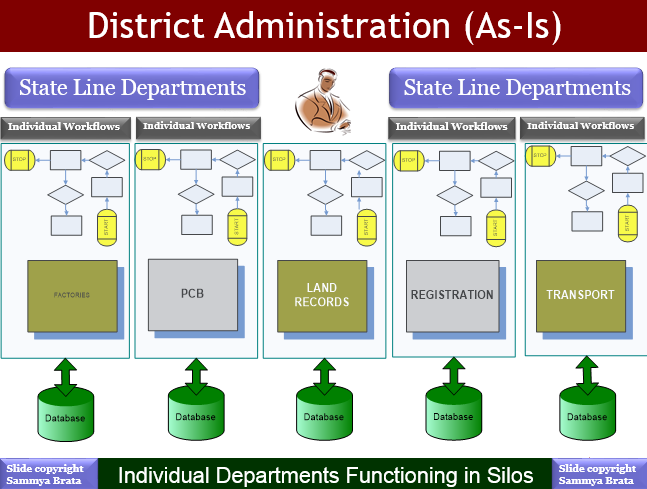 The MMP envisages leveraging and utilizing the four pillars of e-infrastructure namely, SDC (State Date Centre) s, SWAN State Wide Area Network)s, SSDG (State Service Delivery Gateway)s and CSC (Common Service Center) s, optimally to deliver public services electronically to citizens at their door steps. Initially only those high volume citizen-centric services will be taken up for implementation which have high priority for the State, to check the flow as well as to gauge the endurance of the existing solution. The efficient delivery of important services would also lead to developing trust and assurance from the point of view of the citizens who have been rather “seasoned” with the manual process of delayed service delivery. 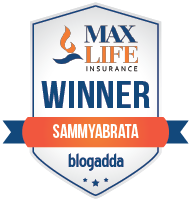 In this context, any new identified service, will be added to the portfolio subsequently, once the demand for the initial set of e-enabled services increases and will be rolled out subsequently.....!!! With the key e-infrastructure components like CSCs, SDC, and SWAN under NeGP in advanced stages of implementation, the focus would be on services that can be delivered across the counter so citizens do not have to visit a Common Service Centre or a Government Office multiple times. The e-District MMP project is the means through which this focus can be achieved and ultimately meeting the NeGP vision, i.e., " Make all Government Services accessible to the common man in his locality, through common service delivery outlets and ensure efficiency, transparency and reliability of such services at affordable costs to realize the basic needs of the common man". The harder part is just about to follow…the only reassuring factor that works well for both the Government as well as the beneficiaries is that currently both the manual as well as the online systems have been kept in place, with that the former process would be done away with in the near future. The best part about this application is that citizen would now get to avail a wide-range of services pertaining to different set of Departments in a single platform; a single application gateway as we call it. The fact that it reduces human touch points and cuts on multiple interaction with the various departments, is nothing less than benediction. The back-end computerization (end-to-end-automation) that reduces time-lag in physical file movement, definitely hits the nail....addresses most impending issue that citizens face while interacting with Government Departments. Also, to ensure transparency....you can track your application status by logging into the e-District portal & figure out at which particular level your application is "stuck". It is almost imperative that this, in effect, addresses to the perennial debacle called "speed money" associated with processing Government applications. But then to implement this, substantial handholding support, motivation & skill-up-gradation would be required. "Who would step forward?" 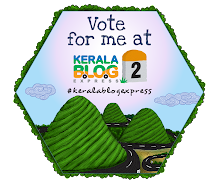 That is exactly where I kick-started my ‘campaign’…my ride into e-Governance wasn’t a particularly velvety one since the mere idea of eliminating paper-work seemed to be a far-fetched idea especially in rural Bengal. Just to bring in a small reference, “Change”, as they say…can never be forced upon either on an individual or a group of individuals driving the community goal; even after almost a decade of conceptualization of this idea of e-delivery of services, only a handful of the states have managed to “Go-Live” with a handful of services. Thankfully, I have been an integral part of the e-District services launch in two states of India viz. West Bengal and Jharkhand. If you ask me to draw a comparative analysis between the two, well nothing to choose really…the common aspect is definitely the “connectivity” issue in the remotest parts of the State; the System Integrators (SI) in association with the State IT Departments have done a tremendous job in “spreading” the wings, read SWAN PoP’s (State Wide Area Network) across all the line offices and Common Service Centers (CSC’s) of the State but then the geographic barbarousness have posed perennial challenges. The major concern was whether the CSC’s would be able to handle the excessive load of transactions with a couple of operators when all the services “Go Live”, also if the network connectivity is relatively unstable there might be substantial hindrance in delivering the services on time. I have also represented Tripura as the SPMU representative during the prestigious Video Conference organized by DeitY, Government of India with all the North-Eastern States of the country; it was mandated that each of the N-E States have to launch their first phase of services by March 2015. Doesn’t seem to be a tough target with all the sophisticated hardware – Desktops, laptops, printers, scanners, data-cards as well as the hardware at SDC, servers/networking components being commissioned on time. 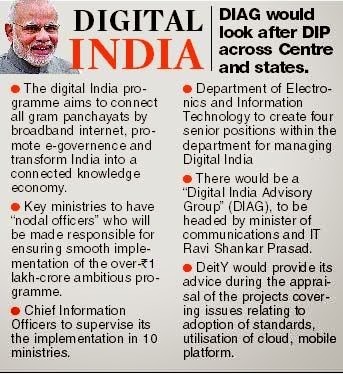 This is in line with NaMo's vision of creating a "Digital India", the venerated intention. One of key aspect of consideration here is definitely the configuration of hardware to be used, especially the computers with powerful processors to handle the exponentially growing load on the servers in due course of time. Glad that the “gifted” Intel-powered processors have cater to all the requirements perfectly. This is one common attribute that we have decided to corroborate before releasing procurement order to the System Integrators and in turn, the OEM’s…in-fact, the Government has made perfect guidelines such that only the best available hardware, especially the computers (desktops and laptops), is procured for all the possible e-Governance projects. 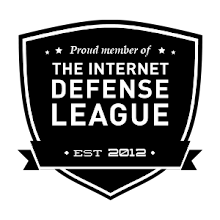 LINUX has been chosen as the Operating system because of its ‘ingrained immunity’. Extensive promotional activities and training programmes have been planned by the Government to spread the word right up to the grass-root level but then, one needs to understand that re-forming Government processes and streamlining has been quite a mammoth task. Well, I’m of course, proud of the fact that I have to a large extent contributed to re-structuring some cumbersome statutory processes through the good-old-As-Is-To-Be-Gap-Analysis-BPR-Change Management-FRS (Functional Requirement Specification)-SRS (Software Requirement Specification)-Design-Testing-Implementation of his esteemed vision of the Government that unfurled newer avenues for sure. Needless to say that I am extreme proud to be associated with this drive..! 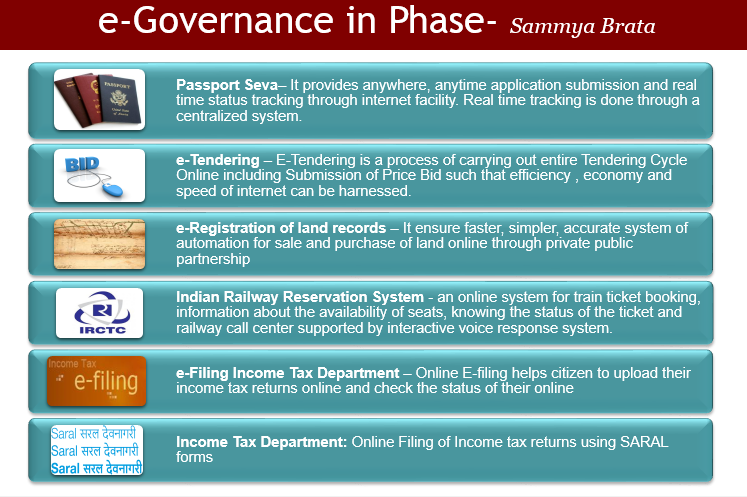 Yes, I have worked with various State Governments with respect to roll-out of core e-Governance projects viz. Government of West Bengal, Assam, Arunachal Pradesh, Nagaland, Tripura, Jharkhand, Chhattisgarh, Orissa, Maharashtra, Pondicherry …I have been involved with multiple e-Governance projects including SP&SSDG (State Portal & State Service Delivery Gateway), Consultancy services for Roll-Out of UID, CCTNS (Crime and Criminal Tracking Network & Systems), e-Health, computerization of the Education Department, Computerization Of Primary Agricultural Cooperative Societies…and the learning has been immense. We have faced tremendous resistance from all levels of implementation but we have persisted in our efforts to ‘enlighten’ India..! Reduction in time and cost spent on by citizen on travel and follow – up of a service; the most critical aspect.! The Government of India has incorporated a number of “relaxations” that help the States (who are lagging behind in implementation) to cope up with the advanced counterparts like Maharashtra. “Do not re-invent the wheel" – is what they recommend…it, in effect, refers to the avoidance of duplication. For example, if a software is developed and has been successfully been implemented in one State, another State can make use of it with or without the inclusion of few customizations that may be required for the state depending on the specific requirements. Saves cost, effort and time. 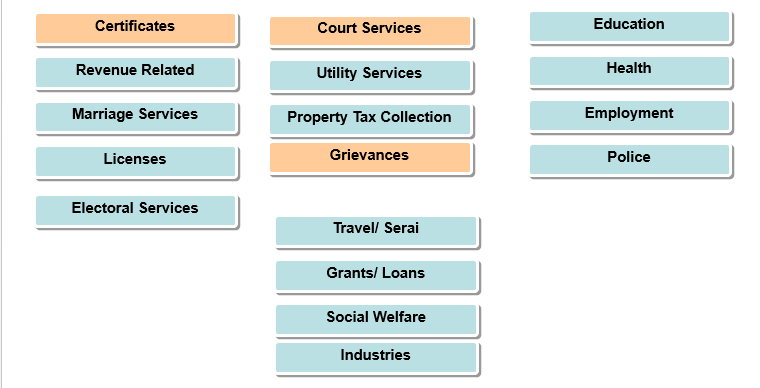 Municipal Corporation – Citizen Service’s centers can provide popular services like Birth and Death Certificates, Age and Income certificates, property cards etc. Motor Vehicle Department – Citizen Service desk at RTO can help citizens to pay vehicle road tax, renewal of driving license, get new/renew vehicle number, vehicle registration. This centers should be technologically upgrade to provide faster, transparent and efficient delivery of their services. External Affairs department – Passport Seva Kendra is a citizen service center which act as a one stop shop for citizen to facilitate passport related services. Courts and Police department - Payment of fines and penalties such as traffic signal violation etc. Labour Department - Shops and Establishment, Digitization, Construction and transport workers welfare schemes, eGovernance in Factories and Boiler Directorate. Fire and Emergency Services- Application and Renewal of Fire Licenses can be made e-Ready. 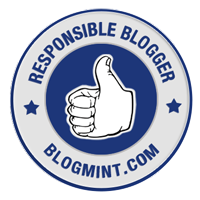 Transformation: Use of Social Media (Facebook, blogs etc.) to get citizens feedback, on issue like traffic violations, potholes etc. Grievance Redressal – Government can use social media for Grievance Redressal. The citizen can also post picture & videos to provide evidence in support of the complaint. Government can provides immediate solution to the complaint resulting in higher rate of satisfaction and transparency. Alerts – Government can broadcast disaster warnings using social media. It helps them to communicate to citizens very quickly in case of emergency. Policy Making – Government can also use social media website to gather opinions / feedbacks from the citizen on policies. This will strengthen the democratic process of policy making and ensure that the policies made have wider acceptability. Agricultural Marketing – Farmer can get information of selling price of agriculture product in the markets nearby, this will help them to get the best price for their product. Railway Ticket Status – Using the PNR number, citizens can get information of their railway ticket reservation status from their mobile. Citizens can also book tickets (m-Ticketing) using mobile applications or directly from the Railways site. Disaster Management – Use of mobile technology to send mass alert to registered citizen’s vis-à-vis. short message service or SMS, in the event of a disaster or emergency. Tax Information – Citizens can get their tax information through SMS pull services. Food & Civil Supplies – Tracking the movement of the Lorries carrying food and availability of information of ration at Ration shops can help reduce leakage at various level of distribution. 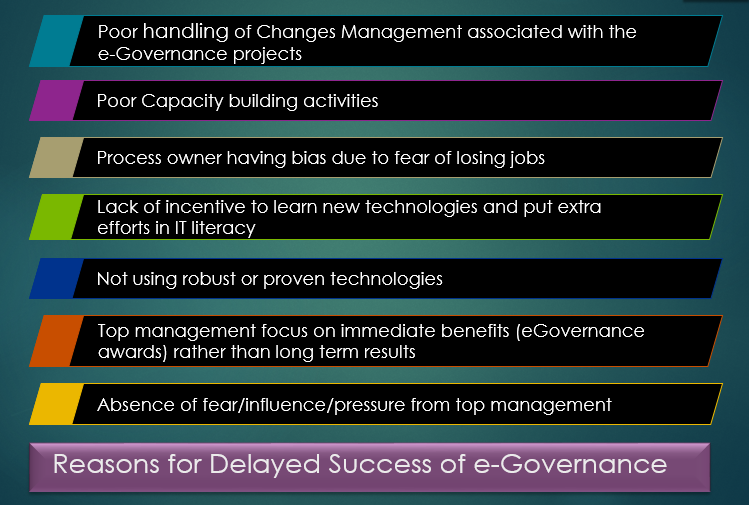 Well, having said so, e-Governance might present a staggered progress because of the following possible reasons. I call it "Delayed success" though. It's just a matter of time before this esteemed initiative by Government of India expresses itself in full bloom. I bet..! And taking of taking it to the “next level”, the idea of e-Governance has gone through glorious transformations over the past few decades and one of the key high-points have been the inclusion of satellite-imagery and tracking maps to aid the execution of services. The use of technology has been remarkable in this case, and is being developed with every passing day. Let’s look at a few examples. National Land Records Modernization Programme (NLRMP) Mizoram – This program is aim to modernize the management of land records, reduce the number of land disputes, proper and transparent land record maintenance system. Pradhan Mantri Gramin Sadak Yojana (PMGSY) – With a goal to provide villages, tribal and hill state with road connectivity, an online management and monitoring system was developed to identify the target areas and monitor them. Bihar Infrastructure Mapping Geometrics Oriented Application Model (I-BHUGOAL) – GIS based mapping of forest, election booths, water resources and transmission lines for integrating Geo-spatial data and MIS data of different departments for faster decision making. And Boy! The world is high on Cloud Computing right now and guess what, we have seen it’s manifestation in the domain of e-Governance as well. The MahaGov Cloud is a private cloud setup by DIT, Government of Maharashtra, the initiative seeks to provide IaaS, PaaS and SaaS cloud services to various departments in Government of Maharashtra. The list of departments which use the cloud include departments like Public Health Dept, Mhada, DIT, Charity Commissioner, Textile, Law and Judiciary, Water Supply and Sanitation, IGRO, Food and Drugs, School Education, Social Justice, Relief & Rehabilitation, Forest Department, Rojgarvahini, Tribal, Bombay High court, UID, Solapur University, Sales Tax department and CIDCO. Maharashtra State Data Centers runs 330 virtual servers belonging to various department and are running their critical applications and databases on VMware solutions Besides providing IaaS, PaaS and SaaS on a monthly basis, the department is offering Business Intelligence tools as a Service (BIaaS), GIS thematic map as a Service (GISaaS), API as a service and Survey as a Service and Authentication as a service. It goes without saying that the inclusion of sophisticated technology has certainly made a huge impact in e-Governance and going forward, we look to forward to making use of Cloud Computing on a much larger scale and extend the benefits to all the States of the country. 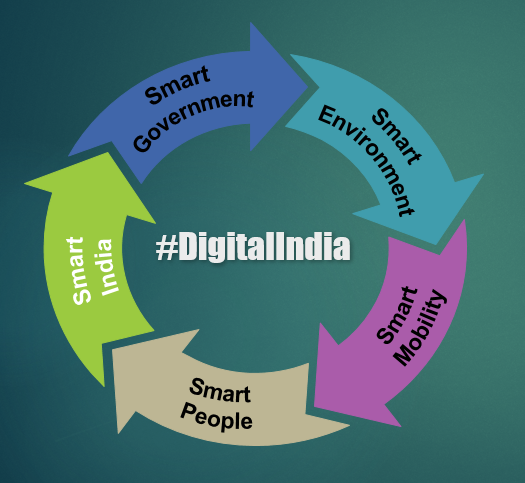 And of course, the essence of "Digital India" as envisaged by Intel, aims at developing four key sectors. It's so comforting to connect to like-minded people-the essence of fraternization! - Smart Government: Smart Government is based on some key drivers like ICT & e-governance, Transparency & open data, and enabling supply and demand policy. Smart government system is required in this cities to save time and money spent by people in accessing this services and at the same time ensuring transparency. - Smart Environment: Smart Environment is driven by developing green building, green energy, and green urban planning. Because of increase in the number of private vehicles, expansion of industries and residential complex in both the cities, the impact on the environment is huge. This calls for environmentally friendly ways of fulfilling the needs of this demanding cities. - Smart Mobility: Smart mobility is driven by mixed modal access, prioritized & non-motorized options, and integrated ICT. In the both the cities, use of the mobile devices have increased tremendously over the years. With the wide usage of next generation mobile technology, there is a huge desire to fill the vacuum of integrated mobile technology in the city services space. - Smart People: Smart people is driven by use of 21st century education, inclusive society and embracing creativity. Both the cities are ridden with poor education, health, and sanitation problems. In order to become the global city of the next century, it requires to make a paradigm shift in its current functioning and adopt best practices from other global cities and bring in creativity to resolves its issues. Needless to say that my dream is to see a "Paperless" India in the near future. And there's more to it..perhaps in the near future we can dream of online approvals happening through e-Governance Apps built for all platforms Windows, Android or iOS; the citizens can check the status of their application by logging into the App itself. Intel Powered Tablets and smart-phones equipped with super-fast data connection would certainly be the game changer. Amen....!!! *This post has been written as a part of the #DigitalIndia campaign brought to you by Intel India. Intel is committed towards our government's vision of a Digital India. Through its ‘Digital Skills for India’ and ‘Innovate for India’ initiatives, Intel has been fostering technology as the enabler for creating a digitized India. Much appreciated.